Jodhpur is the 2nd largest city in the Indian state of Rajasthan. The city has been declared as the 2nd metropolitan city of the state with a population of over a million. It is one of the famous tourist destinations in the country with many historical forts, palaces and temples. 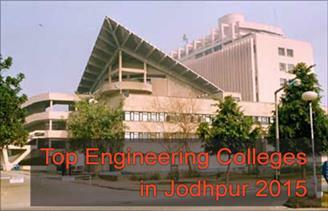 Apart from these the Jodhpur district houses some of the famous engineering colleges which have been mentioned here. The colleges have been rated on several factors these include Infrastructure, Placement, faculty and student reviews.